Cleanliness is subjective as it can mean different things depending on who you ask. Everyone has a specific threshold when it comes to just how dirty a place can get before they go on a cleaning rampage. One hiccup that some people run into is cleaning without questionable ingredients, and the following information will help with that. It might seem a little unorthodox, but the truth is that a little dirt can get your place clean in no time. You might have to let go of the fact that you need to see suds, because a cleaning solution with bentonite clay will not have bubbles. Bentonite clay has a natural electromagnetic charge that is activated by water. This charge is powerful enough to pull toxins, pathogens, and other harmful particles off surfaces. Studies show that bentonite clay can indeed help remove bacteria from surfaces, making it one of the most effective additions for any eco-friendly home. Be sure to shake before use. Keep in mind that this is a multipurpose cleaner. Going back to nature is pretty simple, and it does not get any simpler than turning to a lemon. Yes, that yellow citrus should become your go-to cleaning helper. You might find it hard to believe, but lemons are, according to this, naturally antibacterial due to their immense amount of citric acid, which helps kill bacteria. All you have to do is cut the lemon in half, and rub the inside on the dirty surface. This will leave the surface lemony fresh and clean. For heavier jobs, after you rub it with lemon, sprinkle some baking soda on the surface. Let that sit for a few minutes. Then, use a sponge to wipe the surface clean. Vinegar can actually kill bacteria, including the kind responsible for the common flu. The household liquid works because it contains five percent acetic acid. This ingredient makes it an effective bacteria killer. Vinegar does its job by denaturalizing the bacteria that lingers on your household surfaces. This is a chemical reaction that mutates proteins and fats that exist within the bacteria, which leads to their untimely but much needed deaths. Just pour some of the solution in a spray bottle, and use whenever needed. If you have to clean a rug from time to time, you might fall in love with cornstarch. The powder should easily attract particles that do not belong in your carpet. All you have to do is sprinkle a little cornstarch over your carpet, and let the starch sit for a few hours before vacuuming it up. Just so you know, cornstarch can also be used to do a little dry hair shampooing on those days you need to clean your hair, but you do not have enough time to jump in the shower. 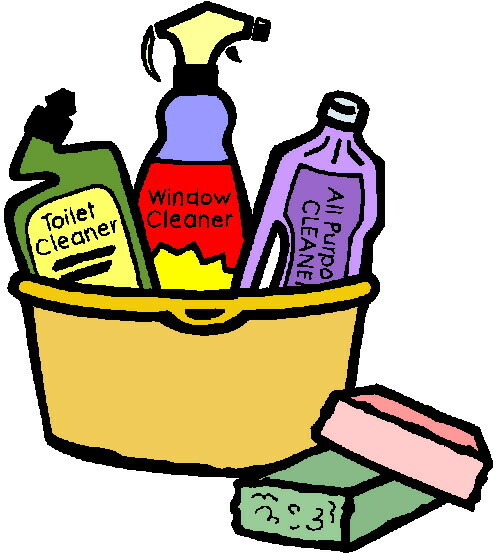 As you can see, there are a number of things that you can do to ensure that you do not use strange or questionable chemicals to clean your home. This should help keep you and the earth healthy.